← ‘The Little Engine That Could’ Fun! 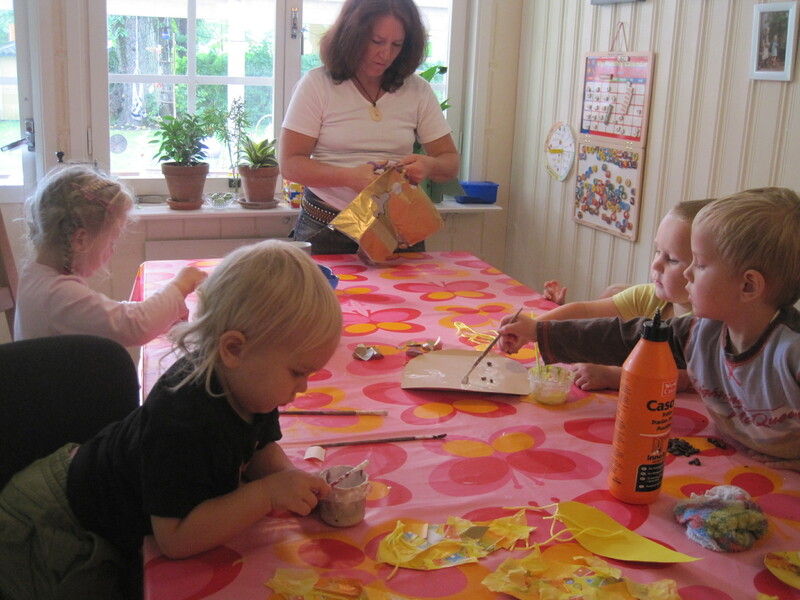 My friend and her preschool group came to visit again today, and we decided to continue our sunflower project from last week. 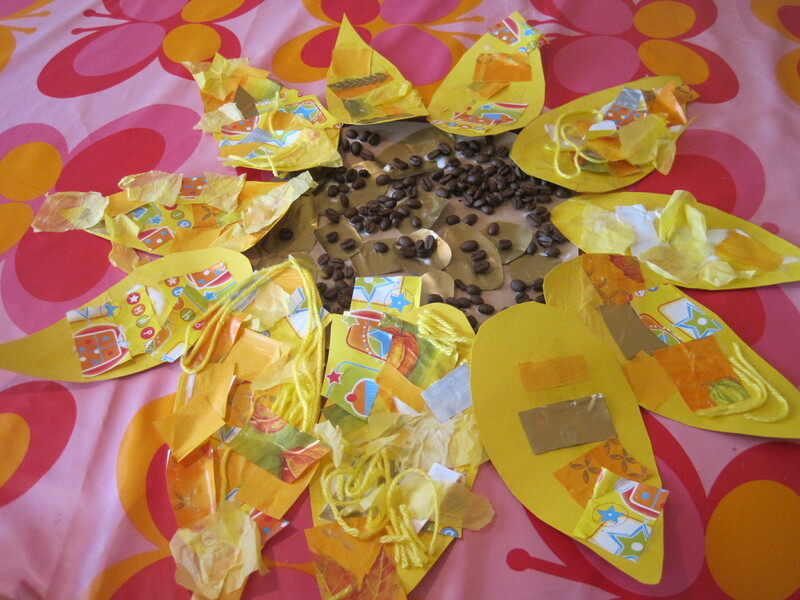 The middle of the sunflower was simply the inside of a beige cereal box cut into a circle, with gold paper and coffee beans stuck on to it..
And lo and behold, when you staple the petals on to the middle – a beautiful sunflower…. 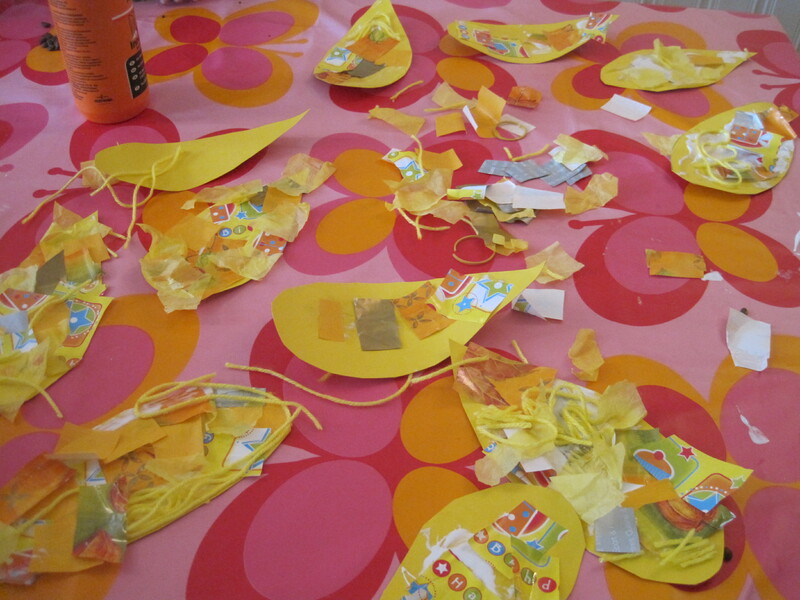 When it was completed, we took in a sunflower from the garden and compared them. We then took a look at the seeds in the real one, and talked about how the birds like to eat them, and the kids all tried one! A perfect activity for very young children (ours range from 1 to almost 4 years old) – and as you can see, this week Alfie was much more accepting, and both took part in the activity happily, and played with the children – phew! Now I just need to find a place to put the sunflower on the wall….